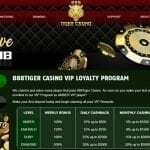 Today, slot players looking for added excitement often gravitate to tournaments in search of interactive gambling that delivers a welcome element of competition. As a result, slots tournaments are becoming increasingly popular, leading more online casinos to offer them. Most people associate poker with tournaments, but slots tournaments are quickly becoming a regular offering as well. What Are Online Slots Tournaments? In an online slots tournament, the casino plays host. It chooses the machines and sets a time limit or allowable number of spins for each contest. To enter an online slots tournament, a player must buy in for the specified dollar amount. In exchange, they are given a pre-specified number of chips (credits) to use. Winners of the tournament usually get some type of additional prize above the amount they have won playing on the slot machines. • Buy in Fee – The buy in fee refers to the amount of money that a player must provide in order to guarantee a spot in the tournament. • Time Limit – The time limit is the amount of time that each player is given to play the game during the tournament if it is listed as a timed event. Typically, all slots tournaments operate in a similar manner. Players sign up, pay the buy-in fee if one exists, and get their turn to play once the event begins. One of the best features of a slots tournament is that your winnings are kept separately from your buy-in allotment of credits. You never lose them. A pre-arranged schedule of payouts is created for every slots tournament. Once the event has ended, the payouts are distributed according to this schedule. Obviously, the player who has the largest number of credits at the end of the slots tournament receives the biggest payout. The number of winners is determined by the online casino hosting the event as well as by the total number of participants. The cost to enter a slots tournament depends on the specific event you are entering. The online casino hosting the event typically determines the buy-in fee if one exists. Some tournaments are hosted free of charge as a way of introducing players to the fun without having them make a financial commitment. It’s a good way to draw players to that online casino in the future. • Slots tournaments allow players to interact while creating a exciting element of competition among the individuals entering the contest. • Since slots are games of chance, you don’t need any skills whatsoever to play. • Playing in a tournament enhances the feeling that a player is actually gambling in a real casino. When you join an online slots tournament, you have an opportunity to meet other players. • Slots tournaments provide an inexpensive way to have fun, since players typically lose only the money they use to “buy in” to the event. Some tournaments are even free. • Every player has the same chances of losing or winning the tournament. 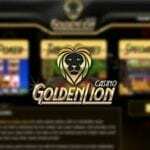 One of the simplest ways to find an online slots tournament is to visit a casino’s home page. You may also want to check out current reviews and/or articles on slots tournaments to see if anything is listed. Some online casinos provide regular slots tournaments throughout the year. Tournaments can be time-intensive events. Get your rest the day before the tournament so that you have the energy to continue playing until the end of the event. If you are playing in a timed event, the speed with which you play is going to have an impact on the likelihood that you come out at the top. Each spin increases your odds of winning, so you should play as quickly as possible to enhance your chances of hitting big. When time is an element of the slots tournament, you need to avoid the temptation to check up on your winning combinations. You can see how much you have won during your break when it won’t detract from your ability to play well. 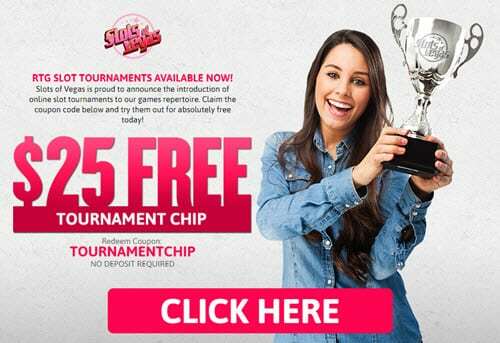 Even free slots tournaments can offer prizes to the winners, so it is always a good idea to consider joining one. Not only can you have fun, but your may win some money while you are at it. Slots of Vegas $25 FREE!